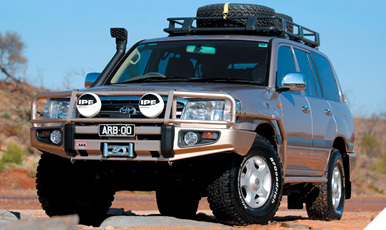 OME suspension, ARB Bull Bar and rear bumper, Rocky Road Supersliders. 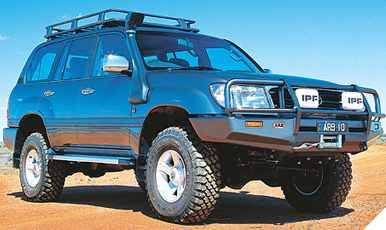 Old Man Emu suspension components are perfect for those who want ride quality over 'show' quality. 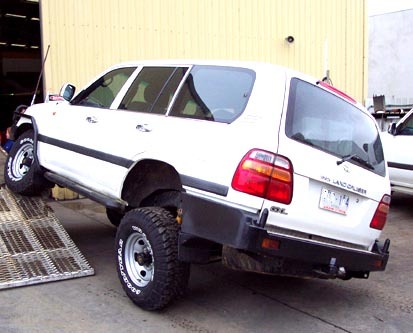 You may find taller or more heavily advertised suspension lifts on the market, but you will never find anything that ride more comfortably, has greater load capacity, or is more durable than Old Man Emu. 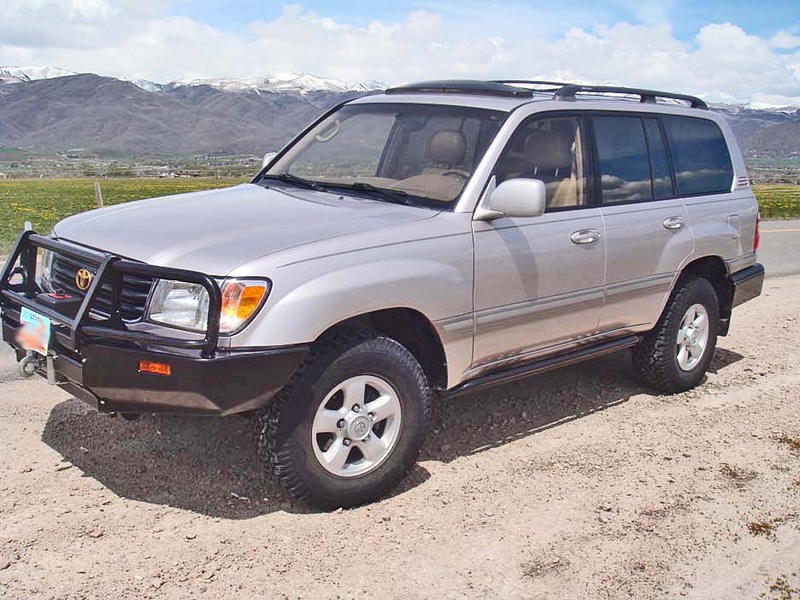 If you truly are looking for the 'best' suspension and not just the most popular or one that temporarily sits an inch taller (most lifts sag quickly, not OME), then you have found the very best suspension on the planet for your Toyota. 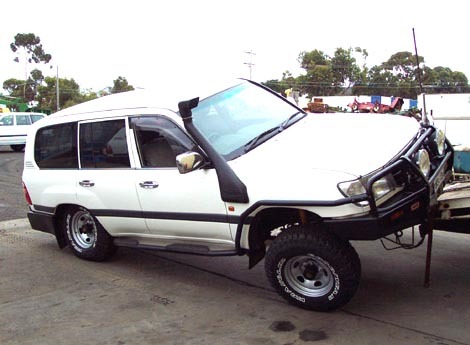 No need to look any further, Toyota owners know that Old Man Emu is the only suspension worthy of their vehicles. Rocky Road will always be committed to bringing you the best products and service. Find out why we are a leader in ARB sales throughout the world and among the largest on the planet for Old Man Emu sales & service. Contact us with your best deal, and we'll try and beat it so you can be confident in dealing with a premier ARB facility! Please call or email us for questions regarding international, Alaska, or Hawaii shipping. 100 Series Cruiser with OME suspension and torsion bars flexing it up for the camera! Hey.... if you got it, flaunt it!!! Adjust stock front torsion bars for additional height, after installing rear lifted springs. Or pick up our Heavy Duty lift torsion bars.